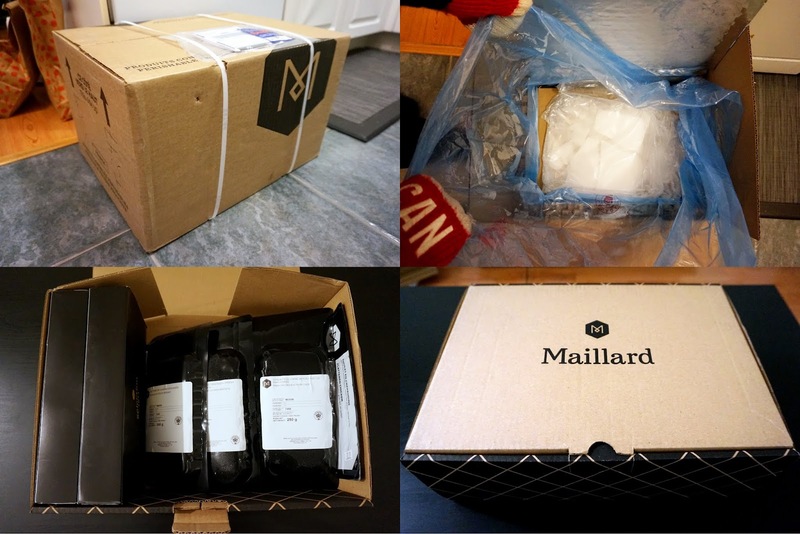 I'm giving away a $100 Maillard.co gift card! Maillard.co is a brand new online butcher shop that offers over 100 different cuts of meat of all sorts, free of artificial colouring, from beef and veal, to pork, poultry and lamb. I was sent a sample Maillard.co box last month to try so I'll share my experience with you here. If you like what you see, make sure you enter my contest below! All Maillard (Instagram: @maillard.co, Facebook: Maillard) products come in a 100% recyclable isotherm cooler that allow the meats inside to remain frozen for at least 30 hours following their shipment. When you open the box, you'll also find a layer of dry ice blocks used to maintain an inside temperature of -80 degrees for maximum preservation. 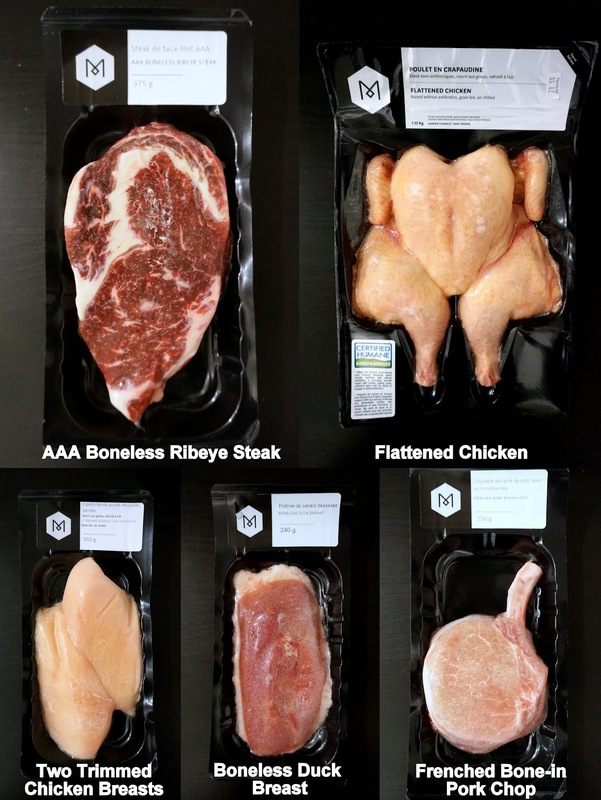 The cuts of meat – sold by unit or in boxes – are individually vacuum sealed then instantly frozen. All online orders are delivered the next day. Maillard.co guarantees its meat to be free of artificial colouring. From slicing to shipping, all of their meat, except their flattened chicken which is packed directly from their supplier, is processed in their HACCP-certified facilities located in Terrebonne, Quebec. Their beef is selected according to its high-quality grading (AA, AAA and Prime), which guarantees optimal marbling, tenderness and flavour. "From slicing to shipping, all of our meat is processed right here in Quebec at our Terrebonne facilities that are HACCP certified, which are the highest food processing standards in the world. Our customers will enjoy choice cuts of meat that have been carefully selected and prepared by our artisan butchers year-round." - Pascal Arsenault, owner of Maillard. *Selection 1913 is Maillard's finest tasting product. The best meat in categories AAA and Prime is selected according to marbling, colour and musle size. These choice cuts are aged for 45 days for optimum flavour and tenderness. With all the wonderful cuts of meat in my freezer, it was time to get cookin'! 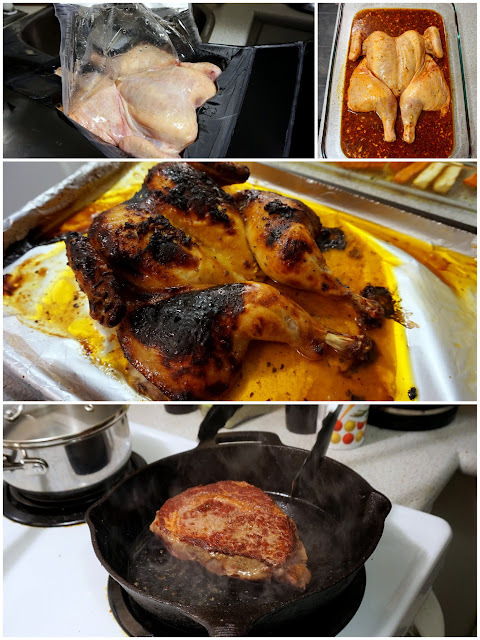 My box came with several recipe cards, so I decided to use one of them, their "Portuguese Piri Piri Style Chicken" using their flattened chicken (there are currently more than 20 featured recipes on the Maillard website that shows you the different ways you can cook your choice cuts). We seasoned the AAA boneless Ribeye with some salt and pepper, and pan-seared it to a nice rare to accompany our piri piri chicken and roasted vegetables. This is Saturday night dinner at its best. We cracked open a bottle of red wine and ate like kings. We've never made chicken this juicy at home, and that lightly caramelized crispy skin was fantastic. The Ribeye was tender, with just the right amount of seasoning, enhancing the steak's natural flavour. On Sunday night, we went for the boneless duck breast. 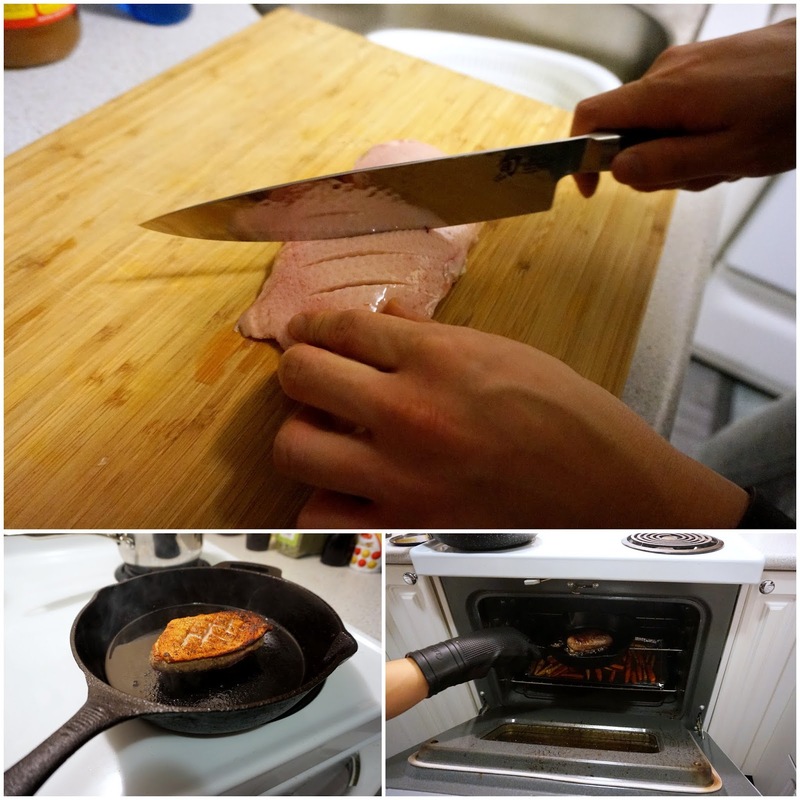 It was our first time cooking duck breast at home so we wanted a simple, foolproof recipe. We found this easy Maple Glazed Duck Breast recipe from King Cole and dived right in. Not only did we not screw it up, the duck breast turned out really, really good! It was super meaty and juicy, and again, the maple-glazed crispy skin really topped it off. Care to try Maillard for yourself? Here's your chance with a $100 gift card! 1. Please check availability for delivery in your area! 4. Please remember to check availability for delivery in your area. If you are the winner but Maillard doesn't ship to your address, you would have to find another valid address or I will choose another winner. Contest starts on Tuesday, November 29th, and ends on Tuesday, December 6th at noon. One lucky winner will be chosen randomly via random.org and I will announce the winner shortly after.